With the rapid growth of the internet and social media, today’s brands now have more access to customer feedback than ever before. User-generated content such as product reviews, social media posts, forums, and blogs are a goldmine of consumer sentiment, offering companies unprecedented insight into real customers’ opinions about their products and services. As a result, many businesses are now looking for scalable and cost-effective ways to collect and analyze this content across multiple channels. Sentiment analysis, also known as “opinion mining,” is one key strategy brands are using to accomplish this task, and it’s helping them make faster and more informed marketing and product decisions than ever before. But what is sentiment analysis, and how does it work? 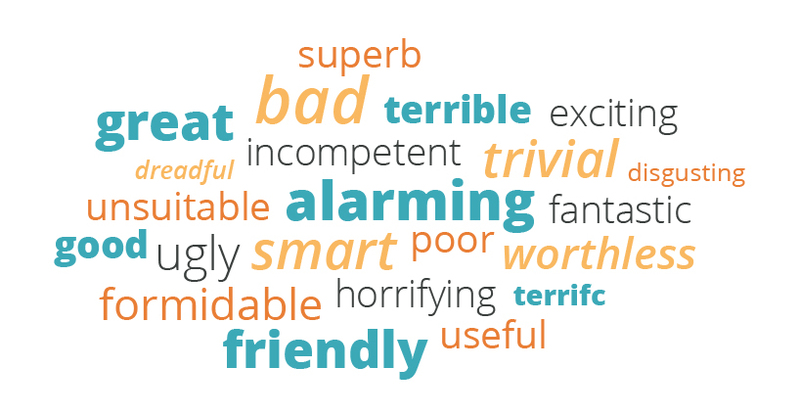 In this post, we’ll provide a brief overview of popular sentiment analysis methods, their common uses, and any associated challenges. Manual processing requires a human element in the analysis, specifically to help interpret language complexities such as context, ambiguity, sarcasm and irony. While this helps to improve accuracy of the analysis, it is also more time-consuming and expensive. Keyword processing uses an algorithm that assigns a sentiment to specific words. For example, “great” is positive while “awful” is negative. While the results are delivered quickly and inexpensively, this method does not account for complexities such as double negatives, words with multiple meanings, and context. Natural language processing (NLP), also known as text analytics or data mining, uses software to analyze words and extract their actual meanings. It takes emotion and context into consideration and adheres to a set of rules developed as a result of identified patterns and themes in language. Drive decisions. Sentiment analysis provides insight on any change in public opinion related to your brand that will either support or negate the direction your business is heading. High or low sentiment scores help you identify ways to restructure teams or develop new creative strategies. Highlight competitive advantage. There are strategic benefits in knowing consumer sentiment related to your competitors. Sentiment analysis can help predict customer trends, so keeping a pulse on public opinion of other businesses in your industry provides a control group to compare your scores against. Predict product lifecycle. Data derived from sentiment analysis reveals how well your product is faring in the market, how this performance can be improved, and if it’s time to pull it off the shelves. Improve customer experience. Never underestimate the return on investment from a customer who feels like his voice has been heard. Understanding consumer sentiment provides a direct opportunity to fix the problems real users identify and put more resources behind the things your business is doing well. Want a real-life example of how sentiment analysis is used? In 2010, Listerine conducted a study of user-generated content posted about its brand in outlets such as social media websites, forums and blogs. This analysis revealed that Listerine’s customers use its mouthwash for reasons they’d never imagined – the second most mentioned use for the product was to kill toenail fungus. There are several defined elements in a piece of text that factor into sentiment analysis: the object, the attributes, the opinion holder, the opinion orientation, and the opinion strength. Object: The product, service, individual, organization, event or topic being analyzed. To obtain complete, accurate and actionable information from a piece of text, it’s important to not only identify each of these five elements individually but to also understand how they work together to provide the full context and sentiment. Because keyword processing only identifies the sentiment reflected in a particular word, it typically fails at providing all of the elements necessary to understand the complete context of the entire piece. Natural language processing uses machine learning and data mining to provide a more complete picture, but the inherent complexity of language makes it difficult to ensure algorithms accurately analyze tone and context. Factors that limit these algorithms include grammatical nuances, implied meaning from facial expressions and body language, misspellings, ambiguity, and regional or cultural variations in language. While humans are generally better equipped to identify all five of the elements needed to accurately interpret the opinions expressed in a piece of text, manual processing presents its own challenges, primarily in regards to speed and scale. When you have a large amount of text to analyze, using internal resources typically isn’t a time- or cost-effective solution. Additionally, subjective interpretations of opinions can lead to varying results – one study found that humans only agree on interpretation 79% of the time. At OneSpace, we believe businesses shouldn’t have to sacrifice speed, scale or accuracy to understand what consumers are saying about their brands. Our opinion mining and sentiment analysis solutions combine AI with real human insight to deliver the most accurate results, helping companies complete large-scale sentiment analysis projects in days.